Regional events, Guild conferences, Community Building Projects. Member stories, advice, opportunities to talk and to listen. New friends and old, we come together as a community to learn from each other and grow our craft. Donate and help us expand our educational work. Engineers and historians. Businesses and individuals. Hobbyists and professionals. 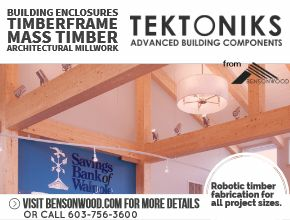 The craft of timber framing is one that welcomes all, reaching back through time and looking toward the future. As this craft shows its beauty and diversity across equally diverse cultures and histories, it also shows how much of the present and future it is: sustainable, energy efficient, and forward thinking. Through the Guild, we share this craft and build for the next generation. Donate and help the Guild welcome new members, develop knowledge and skill in craft, and share our message. The Guild needs your help. Your gift can make a difference! By contributing to the Guild today, you are investing in its future. Help us continue the educational mission of the Guild to preserve the art and craft of timber framing.